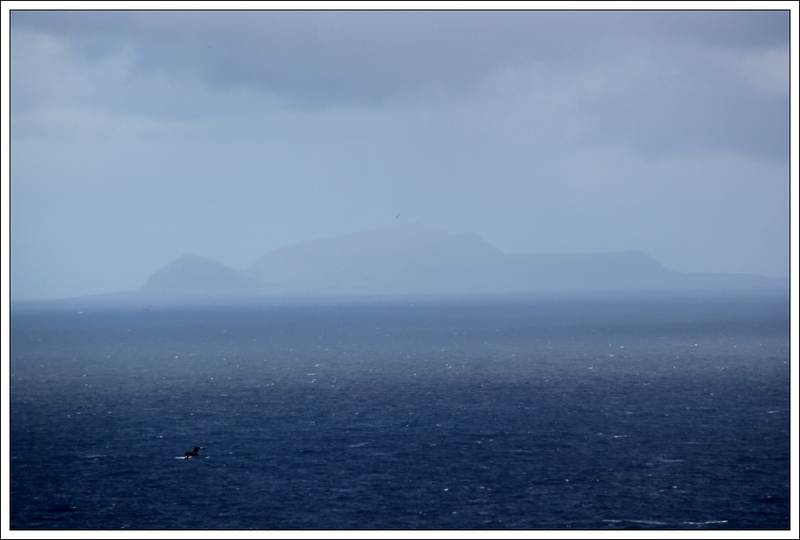 Yesterday we set out from Lerwick to ascend three South Shetland Marilyns. 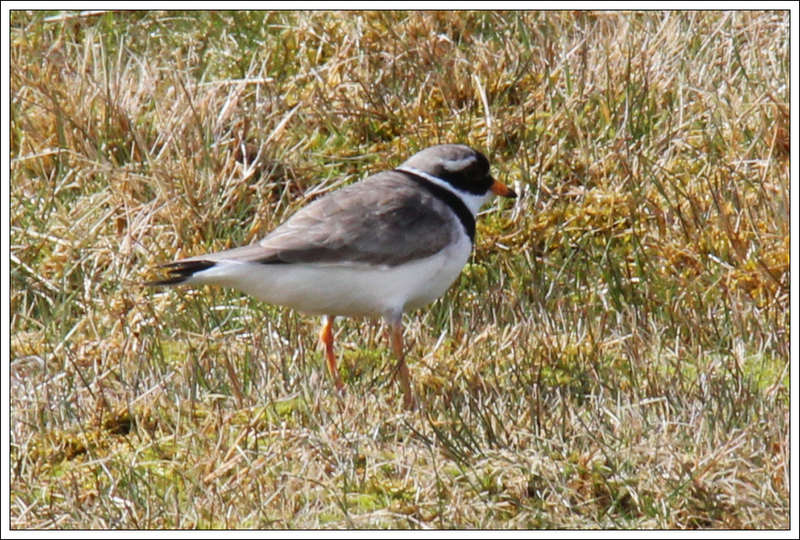 The forecast for yesterday was correct – a mix of sun and rain/hail. 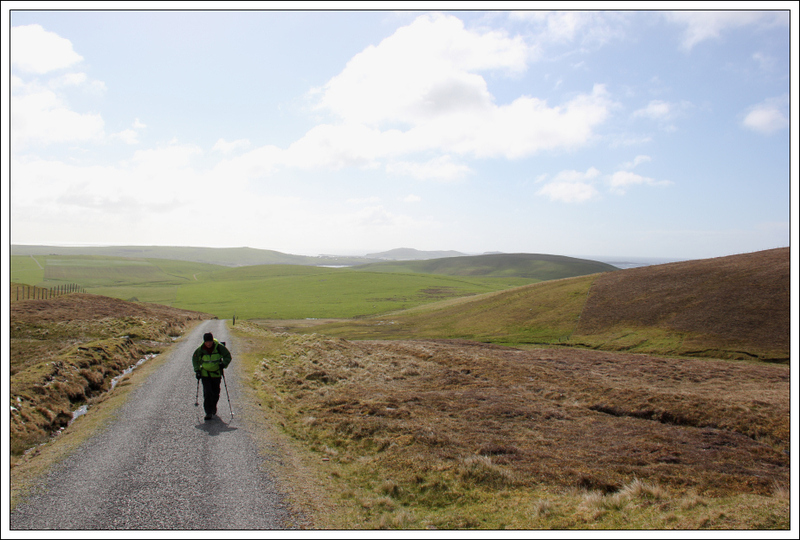 The ascent of the first two hills involved walking along tarmac tracks from start to finish, so I opted to ascend them in trainers. 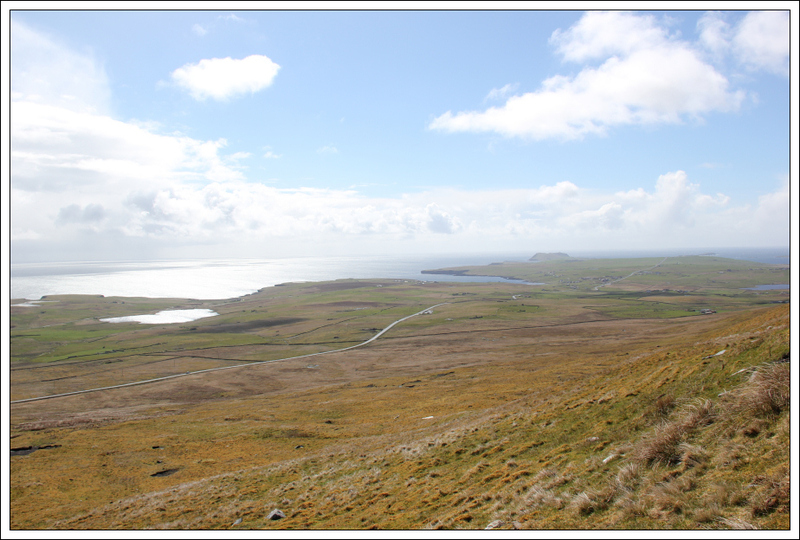 From Hillwell, we followed the excellent track through grassy fields towards Fitful Head. 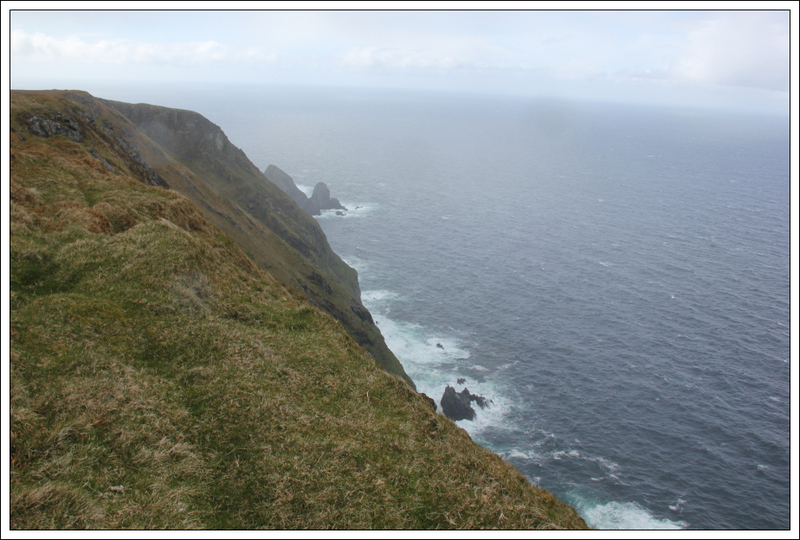 On reaching the col between the 158m hill and Fitful Head, we got excellent views of the Yuxness cliffs. During the final ascent, we could see bad weather approaching. 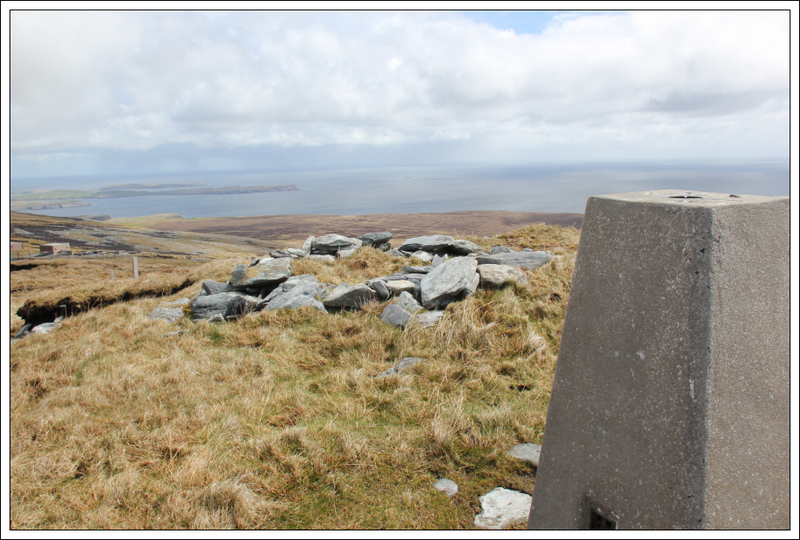 Before reaching the summit, I stopped to put on my waterproofs. 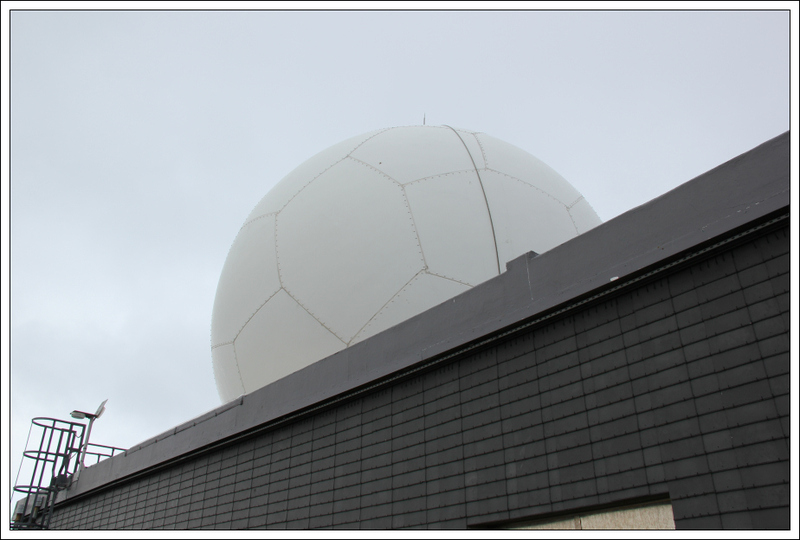 The rain started as we reached the summit area which contains a radar dome. 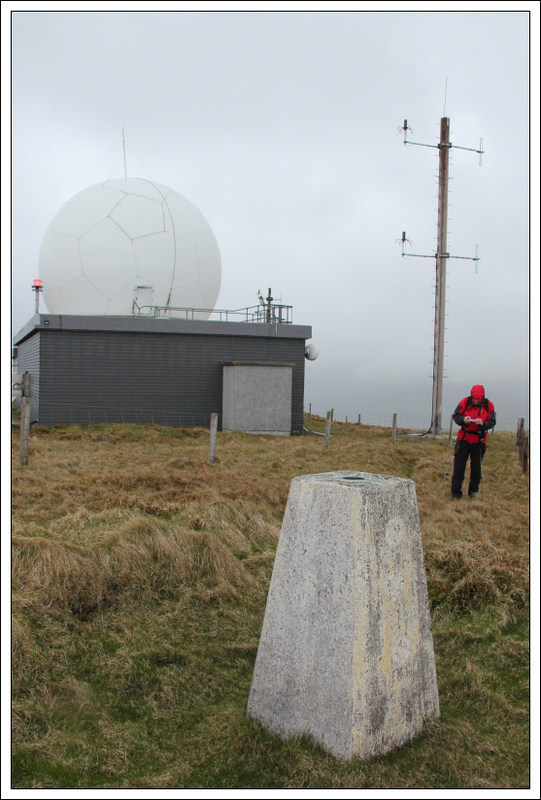 We skirted round the building to reach the trig point and the featureless summit five metres beyond. At the summit, I briefly climbed the fence for a look over the cliffs. 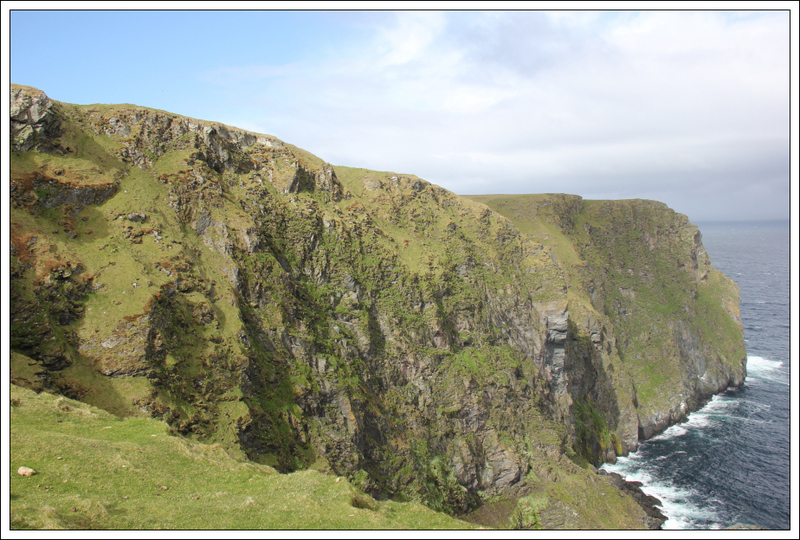 Although not vertical, the cliffs drop from 283m to sea level over a very short distance. 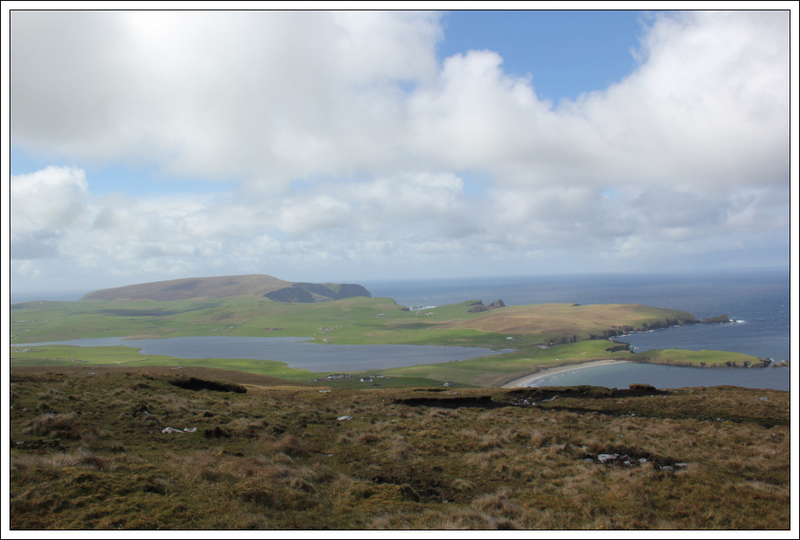 During the walk back towards the car, I stopped to take a photo of the coastline North of Fitful Head and one looking across to Foula. 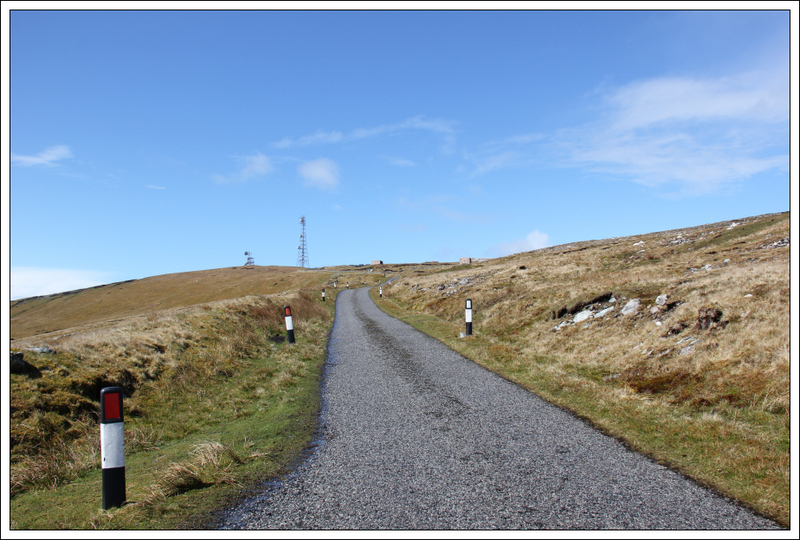 On returning to the car we drove to the start of the track leading to the summit of Ward of Scousburgh. 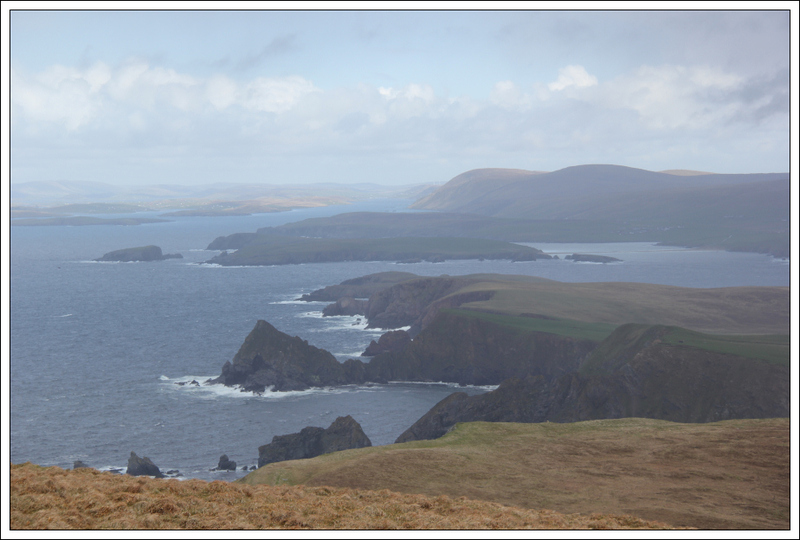 During the ascent of Ward of Scousburgh we got fairly good views looking South towards Sumburgh Head. 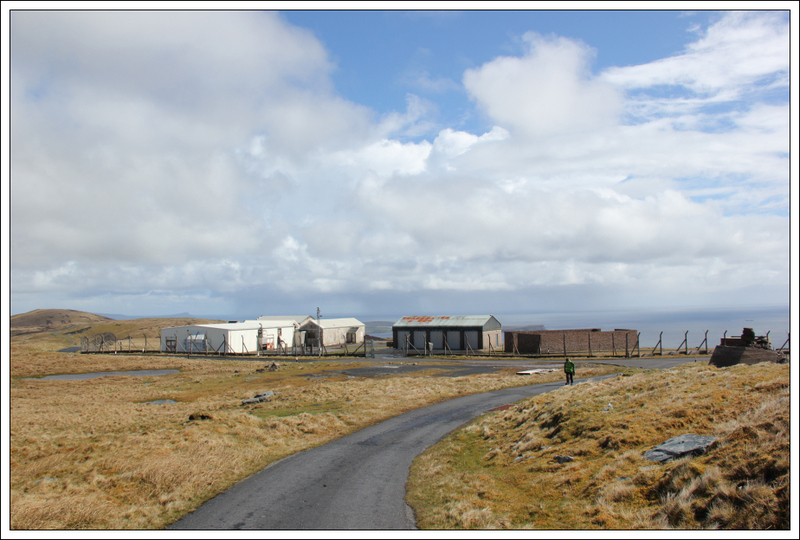 A short distance below the summit are a collection of derelict MoD buildings. 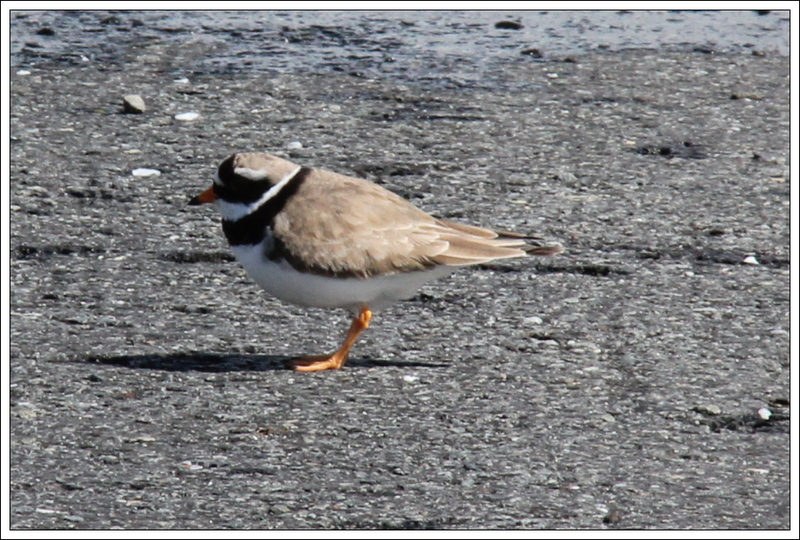 As we approached the summit, a Ringed Plover landed a short distance in front of us and then kept pace with us always staying circa 10 – 20 feet ahead. 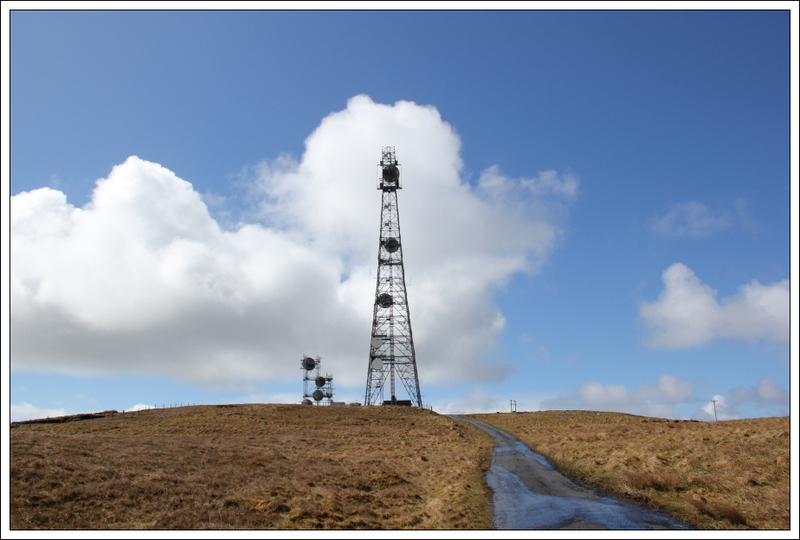 On reaching the summit area we went through the gate at the second transmitter to avoid climbing over the barbed-wire fence. 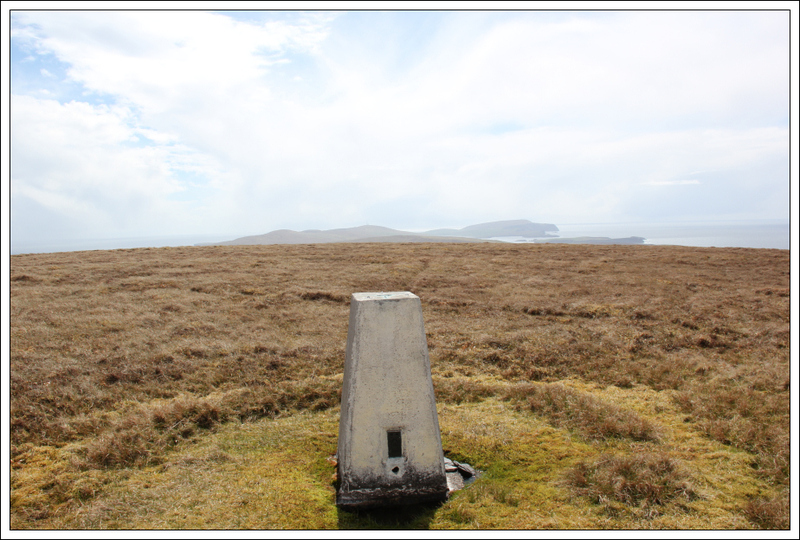 We visited the trig point and the featureless summit five metres beyond. 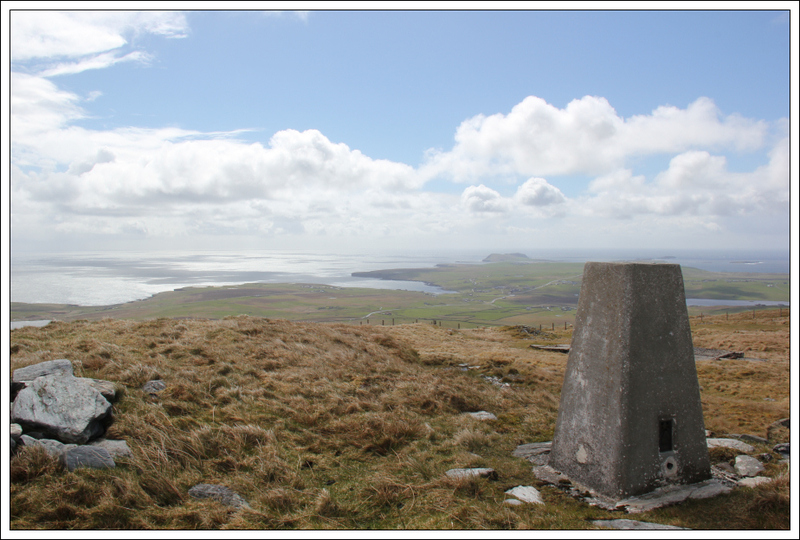 From the summit we continued walking a short distance South-West to take some photos looking across to Fitful Head. 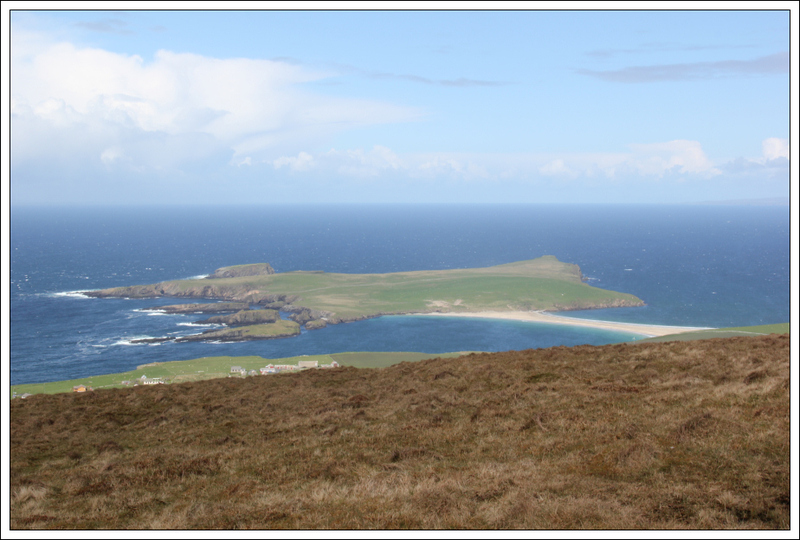 During the walk back, I stopped to get a photo of St. Ninian’s Isle which is connected to the mainland by a tombolo. On returning to the car, after a quick bite to eat we continued on to our third and final hill of the day, Royl Field. Before ascending Royl Field, I changed into my boots as much of the ascent would be across pathless terrain. 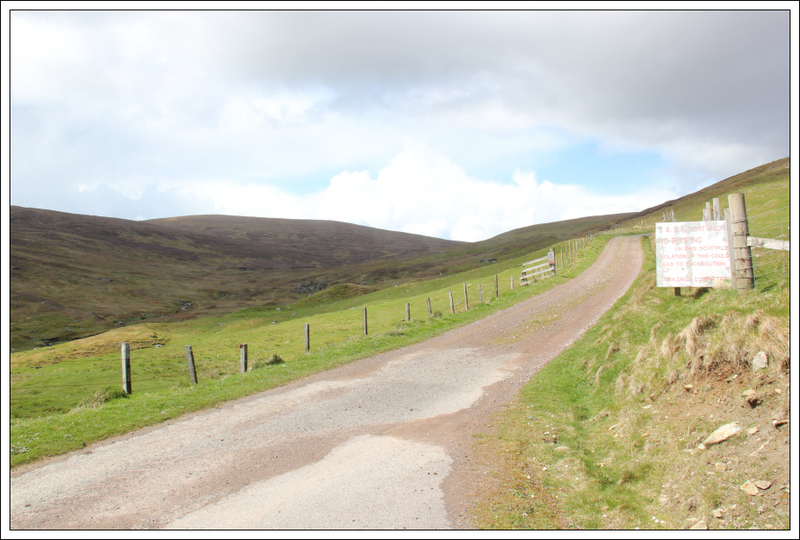 We parked at the end of the road at the settlement of Blett. 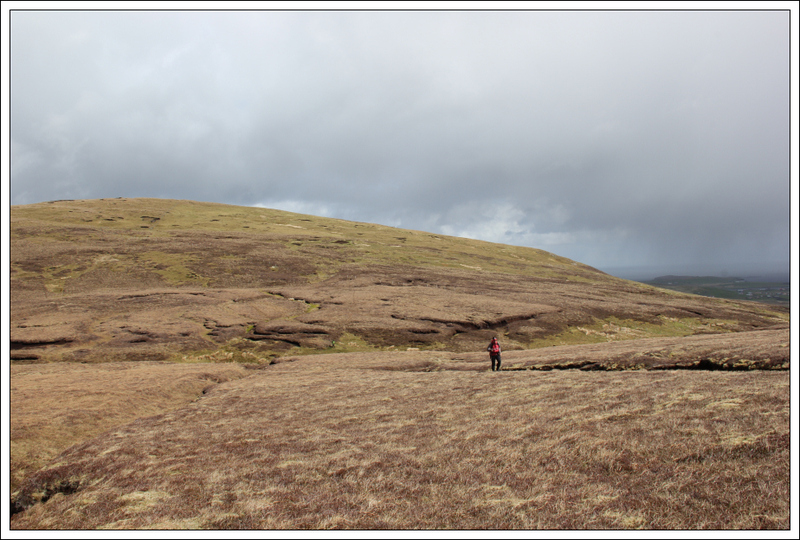 We then followed the track to a height of circa 140m before ascending Scroo. 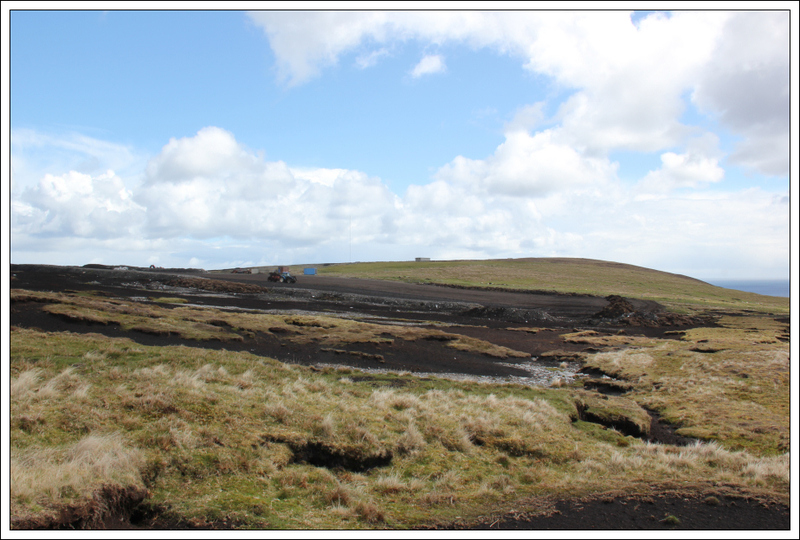 At Culter Field there was a tractor flattening out land possibly for a future windfarm (given the pre-windfarm transmitter that is also located there). 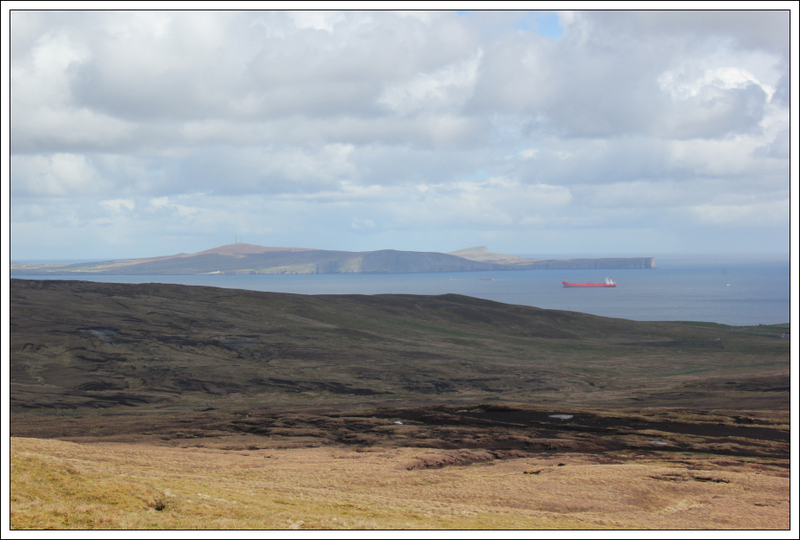 During the ascent of Scroo we got good views across to Bressay and Noss. 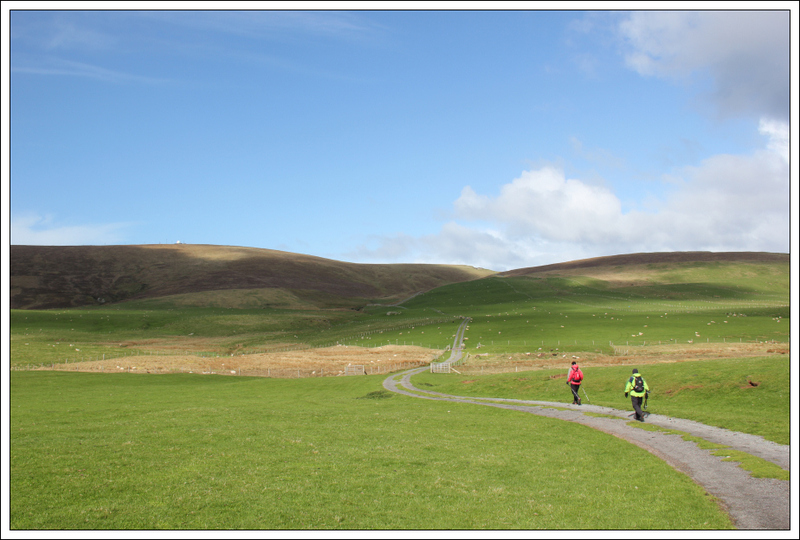 From Scroo we dropped to the bealach before starting our ascent of Royl Field. 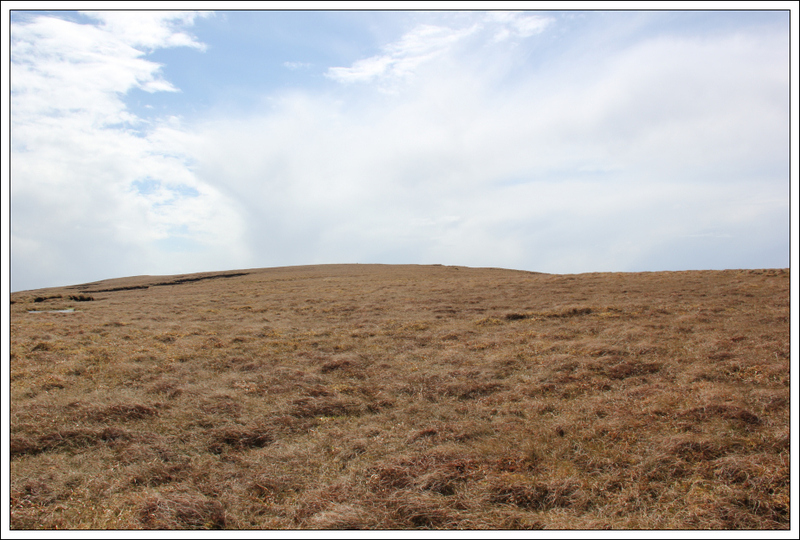 As we approached the summit of Royl Field the ground flattened out providing easy walking to the summit. 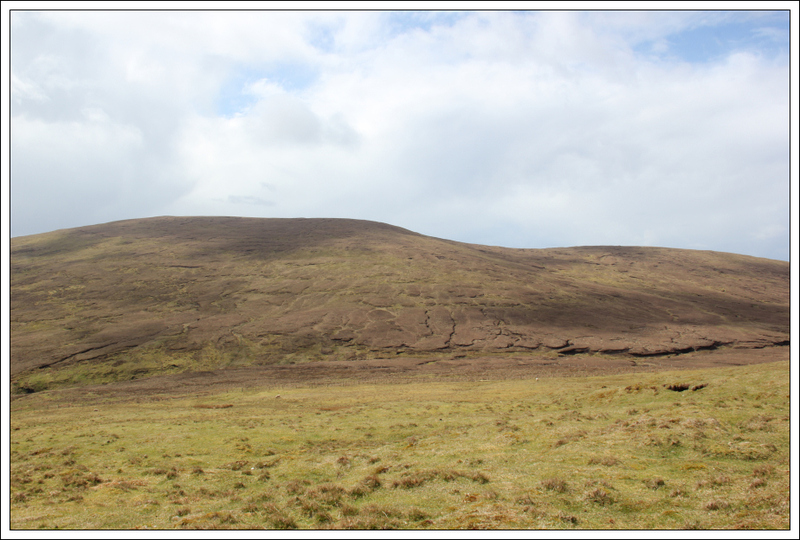 From the summit we returned to the car via roughly the same route with the exception of skirting round Scroo. 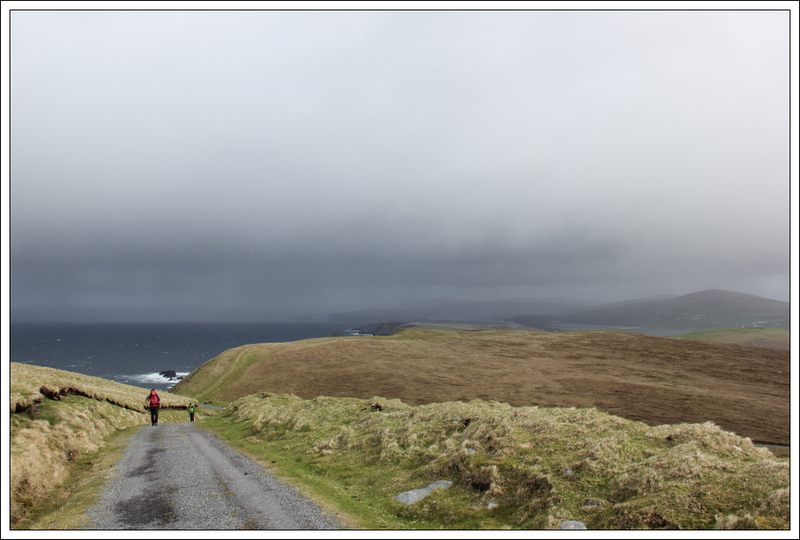 During the return we were blasted by hailstones on a couple of occasions. On the whole though the weather was much better than expected .